Skiers and riders along Montana’s Rocky Mountain Front received bad news last week. [R460R, Teton Pass Ski Resort] hit the skids due to trouble with getting insurance for this winter. The owner posted a notice on its website announcing the closure of the ski area for this winter. New Zealander Nick Wood, who purchased the ski area in 2010 for $270,000, launched into a two-year upgrade program to the tune of $3 million. He overhauled the lifts and renovated the lodge last year. Other additions included a new platter lift with 200 more acres of terrain, a conveyor carpet for beginners, 10 new runs for advanced skiers and riders, terrain park features and new gear in the rental shop. The owner of Teton Pass upgraded the lifts for last winter. Photo Courtesy of Teton Pass Ski Area. Teton Pass planned to run its lifts on holidays and four days per week this winter starting in early December. Season passes were sold this fall. The closure notice on the website included an apology to the local community of Choteau and said that the ski area will be providing 100-percent refunds for this winter’s season passes. The website also said that the resort will be resolving the insurance issues during this coming spring and summer; however, the notice did not indicate what needed to happen to regain insurance coverage. 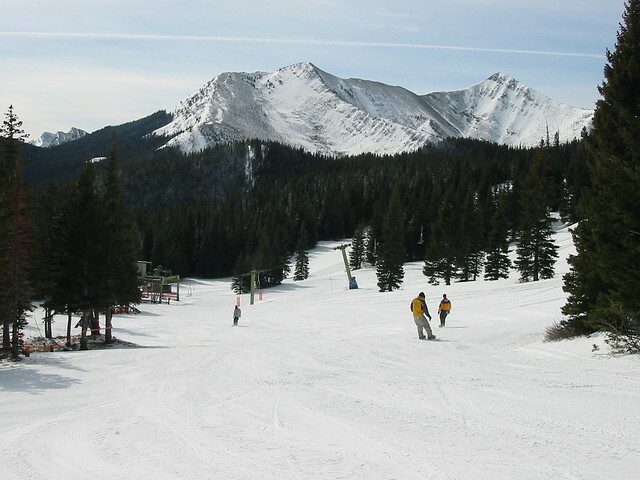 The resort plans to operate again during the 2012/2013 season. To contact Teton Pass Ski Resort about season pass refunds, check here.